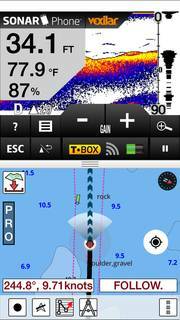 The feature will roll out with our next release of i-Boating app for iOS.  We will also add support for other platforms in upcoming releases. SP200 and SP300 are robust options for boating. SP100-TPOD is designed for shore fishing. 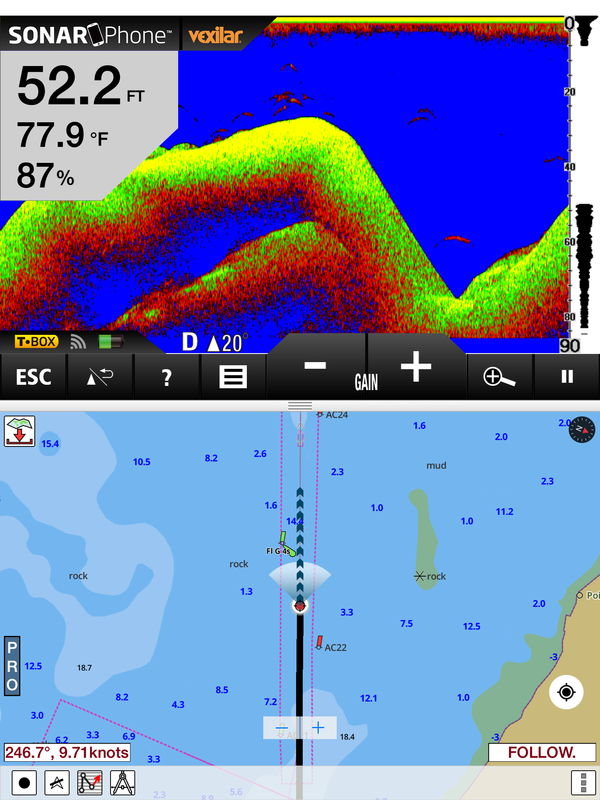 You can still use the i-Boating client as Sonar Display but the GPS positioning will not be as accurate. Its strongly recommended for fly fishing. 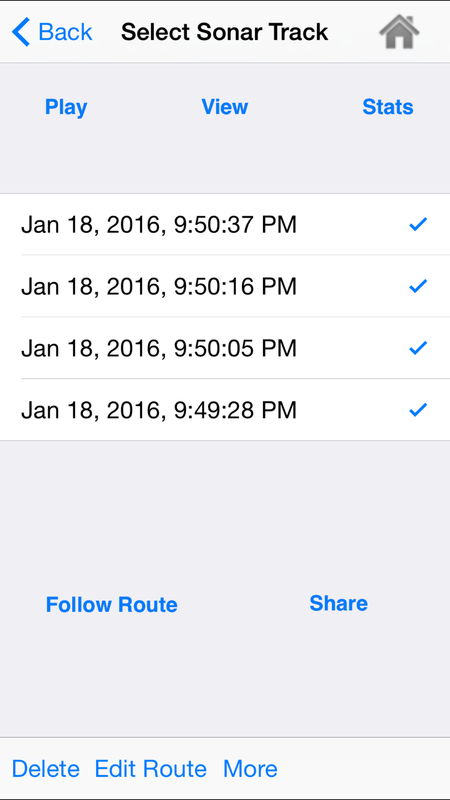 The application turns on auto follow with real time track overlay when iOS device is connected to a TPod. Tap on menu/over flow button on lower right and select "Sonar Phone"
This will launch a split screen with start menu for Sonar Phone on the top in a split screen. 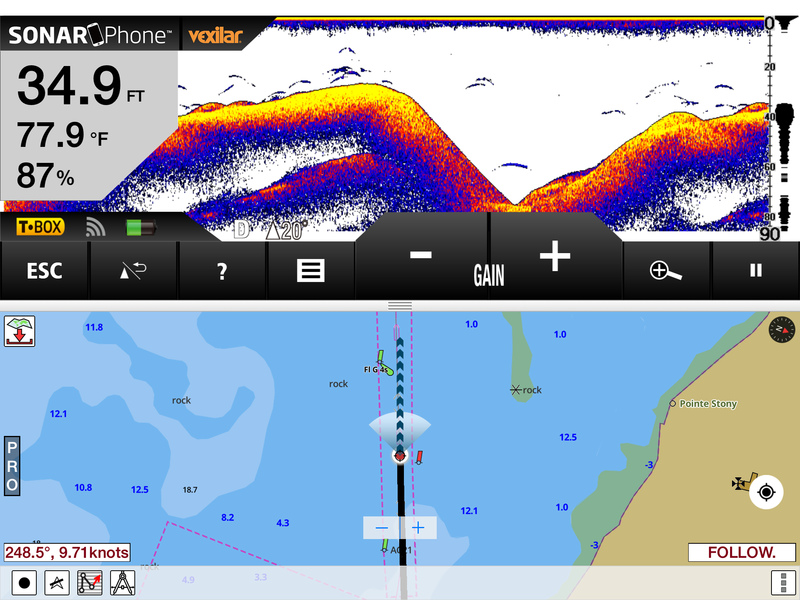 This will launch the sonar screen view in split mode. 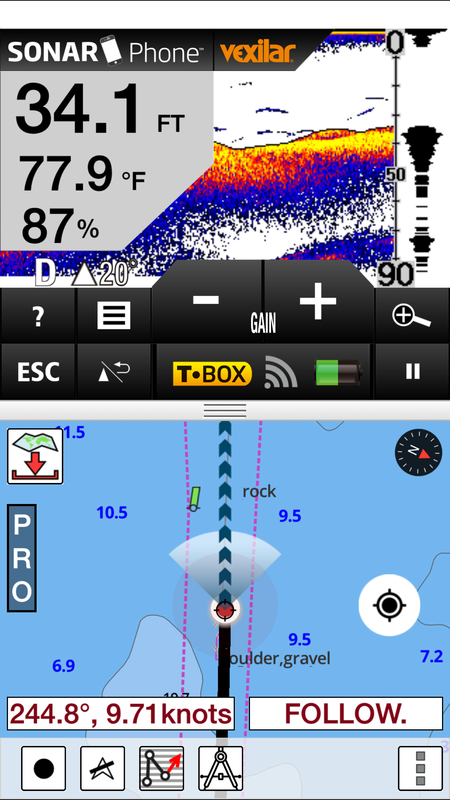 Drag on the divider bar at the center of the screen to adjust size of sonar view. This is more useful on phones. 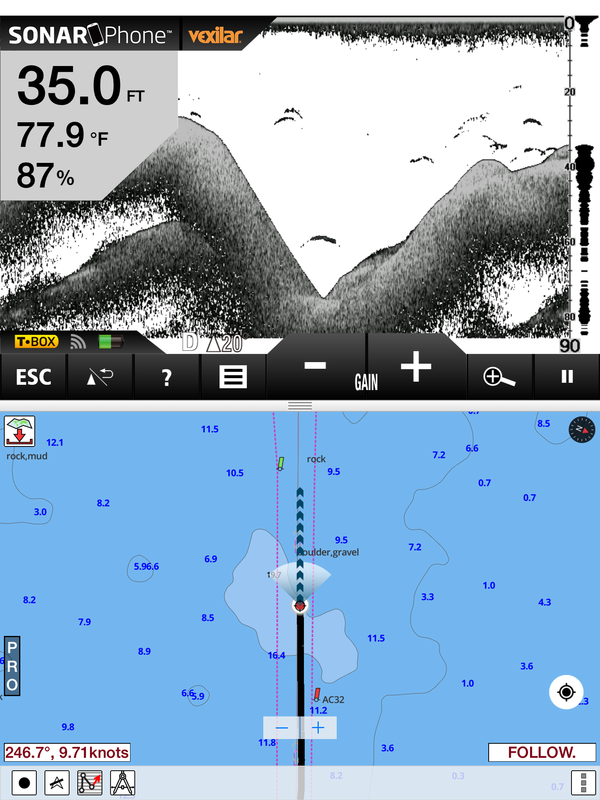 All Sonar logs are accessible from Route Manager, along with Routes, Recorded Tracks, WayPoints, GeoTagged Photos etc. All features such as Play/View/Stats/Share/Editing/Reverse etc. are available for Sonar Logs. 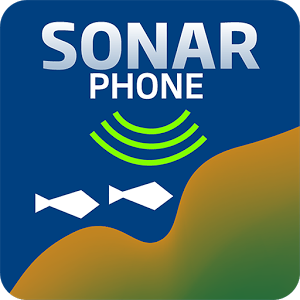 The sonar screen background is customizable. You can switch between GrayScale, Blue and White Backgrounds.